Each day with its 24 hours is a gift. When one of life’s tragedies, near- misses, or heartbreaks strikes, we realize how true this is. Suddenly, all the gifts we’ve planned to be opened on Christmas Day lose their significance. We’d trade them in a heartbeat to eliminate the cancer, to heal the relationship, to reverse the bad choice. 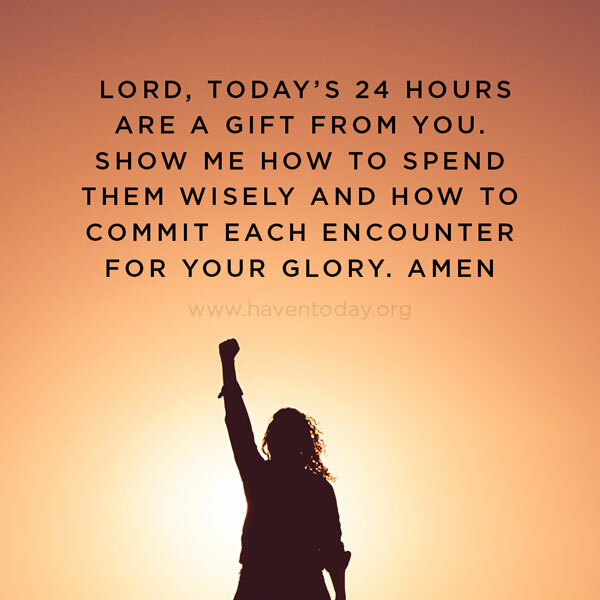 How many hours of a day do you give to God? Does your family get more of your time and attention than a screen does? Think about the precious gift that time actually is. Conversations and people God gives you are opportunities to speak encouragement. Invest your time into a fellow traveler along life’s road. But now think even more deeply about time. “With the Lord a day is like a thousand years, and a thousand years are like a day” (2 Peter 3:8). Ponder how “when the set time had fully come, God sent his Son, born of a woman” to come and redeem our lost and wasted time. Our Savior came at exactly the right time to buy us back and win for us all the time of eternity in heaven with Him.